Scout's Honor insights pointed out months ago, such as Ryan Day taking over for Urban Meyer at Ohio State are starting to materialize. 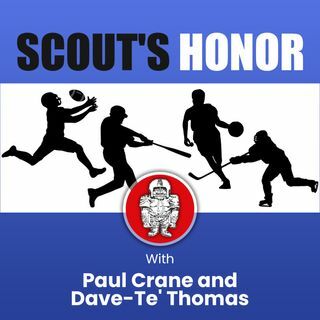 Paul Crane and super scout Dave-Te' Thomas discuss Meyer and other situations, including possible candidates for the coaching job with the Green Bay Packers. Also, the likely landing spot for Mike McCarthy, QBs who may see new teams including Eli Manning and Cam Newton, draft news on several players including two sleepers to keep an eye on. Information ... See More not found anywhere else.. it's another must-listen for all football fans!